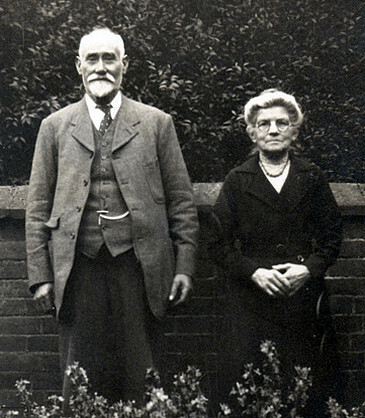 The Goodship Family: William Francis Goodship was a gamekeeper on the Sandringham Estate. He married Flitcham girl Susannah Duffield and they lived for some 40 years at Beech Lodge (since demolished), just to the north-east of Flitcham. Their eldest daughter married Flitcham man Herbert Linford. Above: Dorothy Helen Goodship (b. 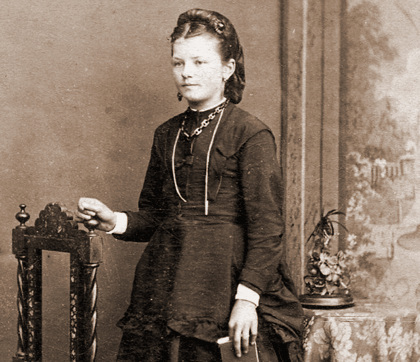 1890) was William and Susannah's eldest child. 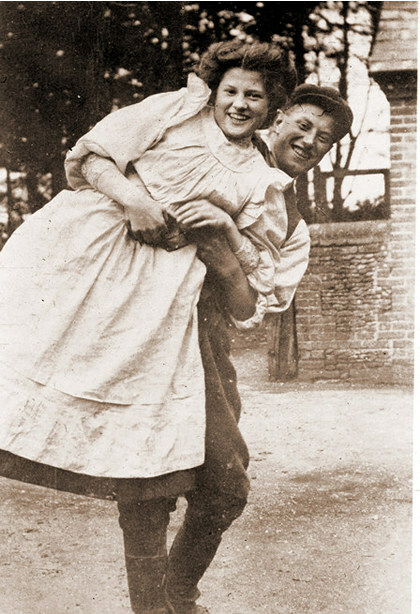 This photo was taken outside the front door of Beech Lodge and Dorothy's grand daughter was told the dress was blue! 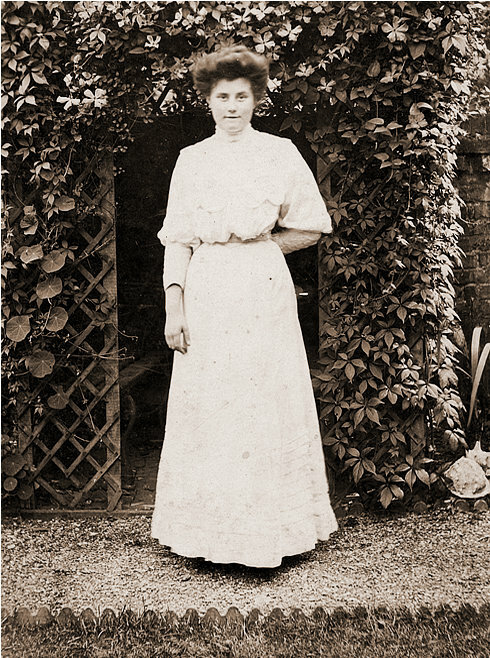 Dorothy married Herbert Linford of Flitcham in 1921. William Francis Goodship and his wife Susannah (nee Duffield). 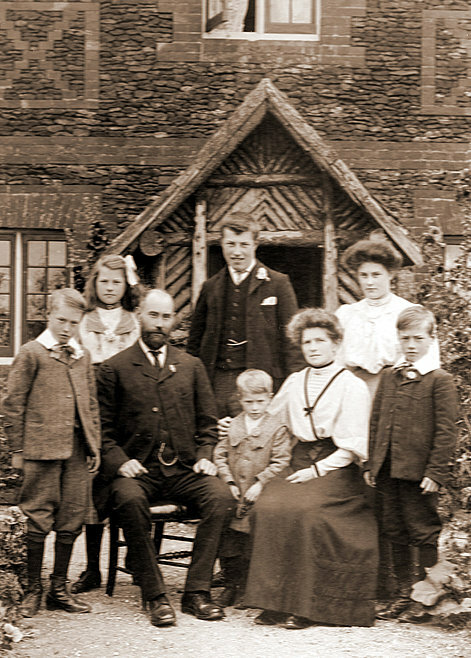 William was born 29th November 1866 at Whitwell in Hertfordshire. At the age of 11 he was sent to live in Norfolk, possibly on the death of his mother. 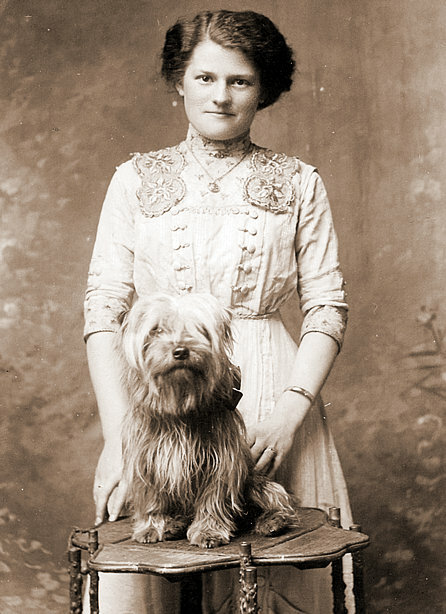 He was a gamekeeper on the Sandringham Estate and married Susannah Duffield of Flitcham. 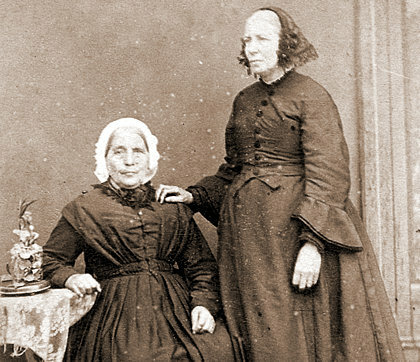 They lived for some 40 years at Beech Lodge to the north of the village and had 6 children. On retirement they moved from Beech Lodge to a cottage in the village.